Translation programs as a download, CD and web-based, dictionaries with special vocabulary, company solutions for text translation and text management as a service. Linguistic competence for your business communication – in German, English, French, Chinese. 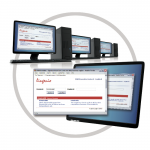 The Lingenio Glossary Maker is the latest tool of wwwtranslate, the showcase of Lingenio. 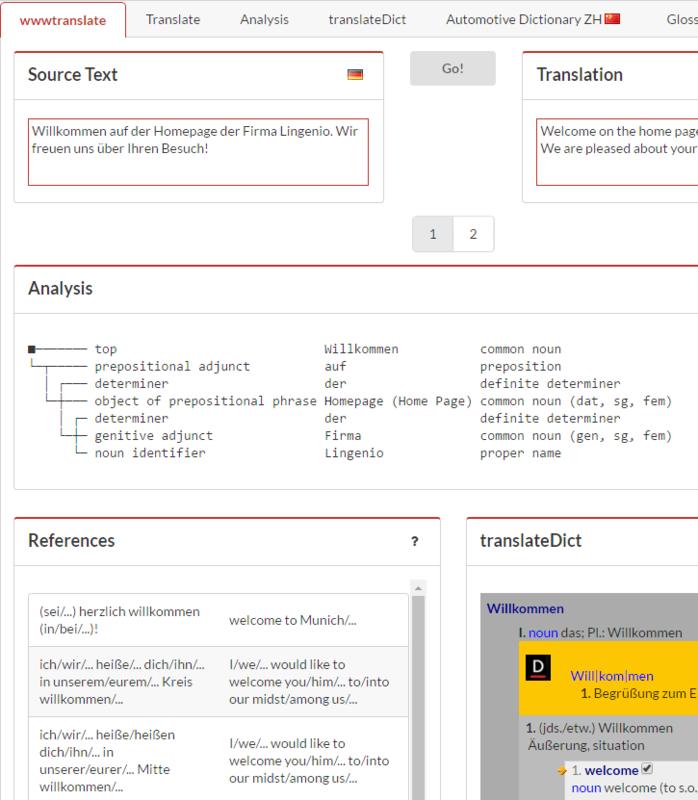 wwwtranslate is a free online translator and offers text translation with dictionary service, syntax analysis and reference examples for the language pairs English-German, French-German and Chinese-English. The translation platform illustrates the potential of the Lingenio translation programs and will soon also be available in the partner’s platform pons.eu. wwwtranslate for a companies intranet or translation and dictionary solutions and text analysis for Windows networks – whether standard packages with attractive licensing models or customized solutions, Lingenio can offer you competent assistance for effective and efficient translation. Keep on reading. Both PONS and Haufe Media Group use our web based solutions for online translation services in their web portals. From consulting to software development: with our many years of experience in the field of machine translation and our technological know-how we can be competent partners for your language needs. Keep on reading. The professional product series translate features an array of innovative functions that considerably enhance the quality and convenience of translation. Keep on reading. The intelligent dictionaries translateDict™ offers the option of finding directly the translation best suited to the surrounding context – for even greater translation speed and convenience. Keep on reading.